America’s cup is one of the most respected racings in sailing world and this year they celebrate their 35. Anniversary. 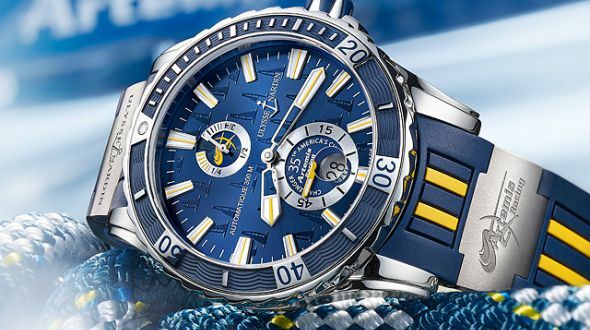 Ulysse Nardin presented a limited series for this occasion and of course the collection for this series is Marine Diver. 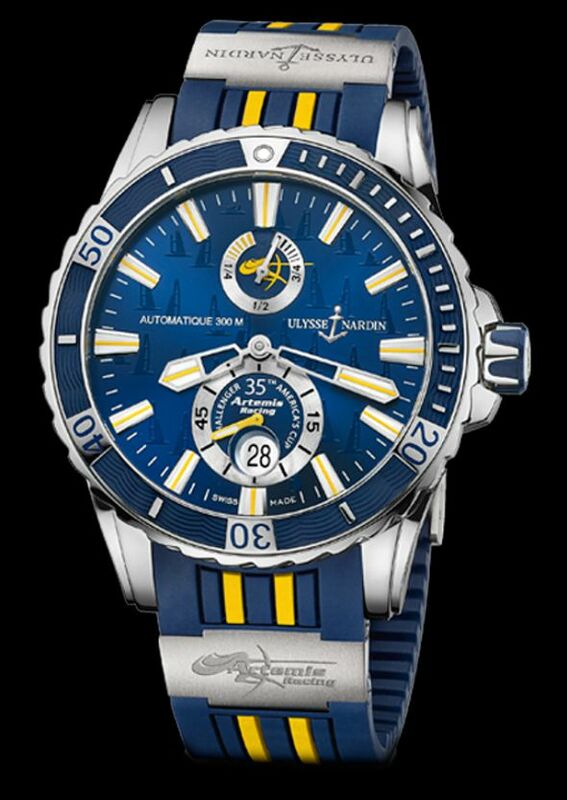 The watch’s colours will be ocean blue and yellow from Artemis. The series will bi limited with 250 pieces. 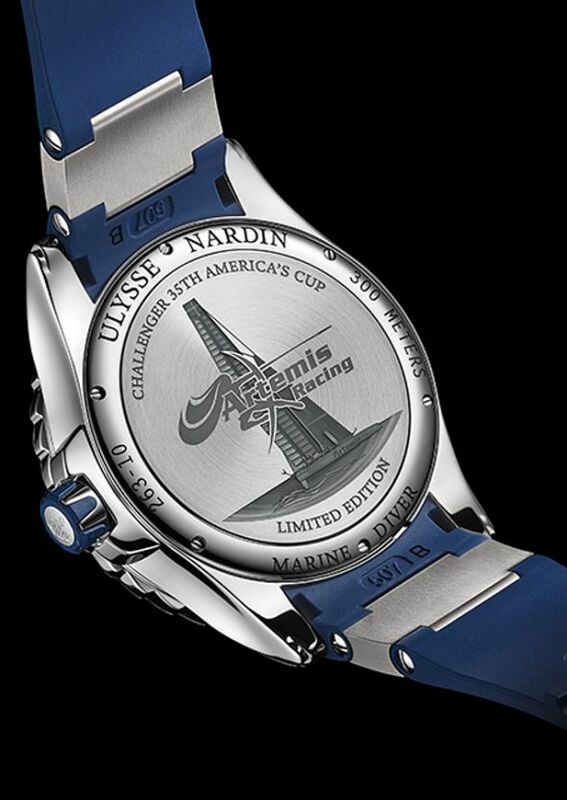 While sailing boat figures adom the ocean blue dial, Artemis Racing Sailboat engraving welcomes you at the backcover. With locked crown and steel backcover the watch offers 300 meters water resistance. The case measures at 44mm and inside of the watch is UN-26 caliber. In the upcoming days it’ll be possible to see these timepieces at every Ulysse Nardin shops.